There are stories in The Trusted Advisor Fieldbook that inspire me no matter how many times I read them. One in particular provides a compelling example of a company’s commitment to walking in its clients’ shoes. This week’s tip offers ways you can translate their innovation to your business. The story: Unit7, a direct marking/CRM agency that is part of the Omnicom family, once figured out an ingenious way to give heart to a campaign for a Type 2 diabetes medication. 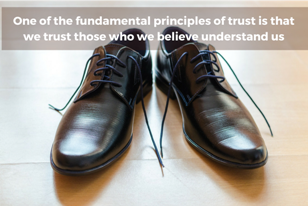 There are a lot of creative ways to walk in your stakeholders’ shoes the way Unit7 did. For example, I once worked with a CIO who insisted on spending time shadowing call center staff. And when you can’t orchestrate a direct experience, you can routinely seek an indirect experience through role-play. Do it at least mentally, and preferably with a partner—by seeing and feeling what the world is like from your client’s perspective. What distractions/challenges/pressures is she dealing with? What recent victories are worthy of celebration? What might she be thinking? Feeling? Ask a trusted colleague to listen as you speak from her perspective. Then note what comes out of this inquiry. I’ll bet you the cost of an ad campaign that you alter how you approach your relationships as a result of what you learn from these practices. This week, devise a strategy for putting yourself in your clients’ shoes—either directly or through role-play. How might you routinely see things from their perspective? 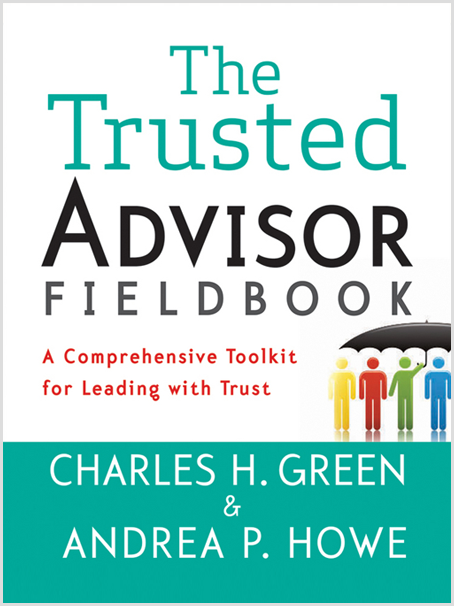 Read “Are You Client-Focused, or a Client Vulture?”, from our friends at Trusted Advisor Associates, or find the Unit7 story in Chapter 6 of The Trusted Advisor Fieldbook.